In this training I will explain how to earn money by writing online and where to find these writing gigs that I do in addition to my website content. No you do not have to be an author in the literal sense because writing online, like I am doing here with you, is just another form of communication. 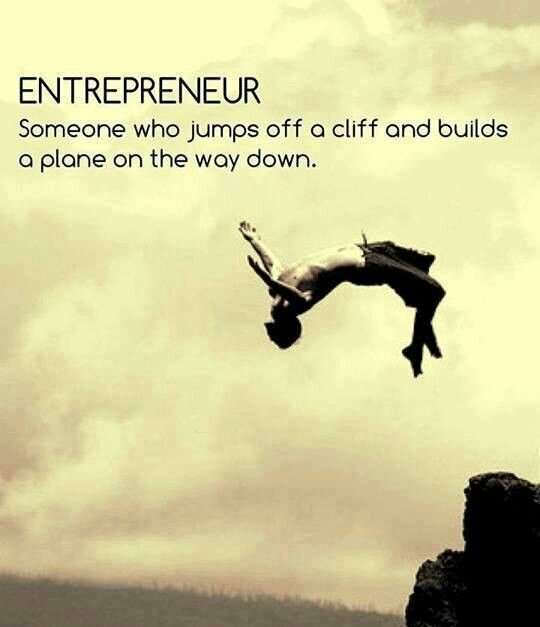 There is the official definition of what an entrepreneur is and then there is the one I read by an individual blogging on Entrepreneur Magazine. His definition sounded a lot like the approach I take when it comes to making money online. “An entrepreneur is someone who works various different angles from the same source to produce the goal of success.” Yep! That sounds like my approach. But what does that mean? Let me explain what that means in relation to what I do in my quest for success. As I often say, “Success is not a destination but a journey.” What I mean by that is you never really achieve that goal because the success finish line keeps changing once a previous goal has been reached. When I started here at Wealthy Affiliate I knew that success in an online business would take years to come to fruition. So I set a short-term success goal of making my first bit of money, even if it were just $1, by my 6th month here for working every single day toward that goal. When I achieved that goal I set a new goal. These goals all lead up to that “success” goal far in the future. Hi Robert, fab training. Thanks a mill. I recently started earning money for writing sponsored posts on my own site and it got me thinking... Maybe I could increase my income by adding a gig on Fiverr specifically for SEO content writing. What do you think? Thanks for the link to Freelance Writing Gigs, I'll check them out too. I'll include a link to this tutorial in my upcoming post. You are welcome Lauren. Yes, you could offer SEO content writing services on Fiverr. I have even seen people offering keyword research services too. Thanks for your speedy response, Robert. Its definitely time to revise my Fiverr gigs. You are welcome Lauren and thanks for sharing my tutorial. Hello I really need help. I need to make 200 dollars online to start my WA journey. Anyone knows how to make money online LEGIT ?? We are trying to help you, but you don't come back to us on live chat! Without knowing what skills you have, we can only guess at what you can do to make money. Members were trying to help you on Live Chat. Please try that again and stick around to hear what members suggest. There are countless ways to make $200 online legitimately if you are willing to do the work. You can sell things you own on eBay or Craigslist to start. Then once you learn the techniques here at WA you can do freelance online work. It might help if you actually start the free lessons and get going towards doing your website. And put something in your profile. Currently you are one of the faceless ones. Thank you, your training are helpful to us. It is my pleasure to share this information with you and the WA community. Yea with this alone...will take me a minute to adapt too. Im still learning how to use plug ins and SEO...I love to write and I did find something that fits me problem is they require travel and I dont have a car. lol lol lol lol lol. Oh well... thanks for the info. The nice thing about writing content on your website, here on WA, and even the emails and social media posts you do is, the more you do it the better your writing skills become. This should make it easier to apply that writing skill and make money by writing for someone else. Yes. I'm gone try to at least write a blog every other day. Happy this post inspired you. Im just wondering, if you use a link to a blog you have written on WA, wouldn't whoever you send the link to need a WA account to open it? Great article boomer! Mike, all the posts you do within WA ie listed on your profile page do show up on the net. Every once in a while mine come up but since that is usually by accident I haven't yet remembered how I did it. Hopefully someone else will know so I can then also find out! If the posts are on your website then anyone can access them by visiting your site. Thank you Mike. Glad you liked my tutorial. To answer your question...No, anyone can open it and read it. Remember, all WA blogs written here at WA get indexed and ranked in Google for all people on the internet to read. Robert, another great training session. But again, coming from you, I am not surprised at all that it is so well done, helpful and inspirational. Thank you. You are welcome Giulia, and thank you for your kind words. I am always happy to help the WA community when I can. It was my pleasure to help you and the WA community. I added this to my favorites. Thanks Robert! You are welcome Veronica. Glad you liked it enough to add it to your favorites. Sounds like an awesome opportunity, Ive been struggling financially lately and have been searching for other ways to make money with the skills I already have. The only problem is I feel to young to do this, but Ima go check it out anyway. Hopefully any confusion I have will go away once I start attempting this. Thank you! Everything requires practice and the more you do something the better you will eventually get at it. I did not find any face book button here . I found only G+ red button and I share your post on G+. Here I found coca cola affiliate marketing post. I like it most. WA has removed all of the Facebook buttons from all site-wide posts because too many members were using it to spam Facebook. Thank you for the training, I realized that everything I need to make money online is here at WA. I have not started making money yet, but I will try writing content for others, I really appreciate the training. You are welcome. WA definitely has everything except your will to succeed. Thanks Again. I also liked this training. I will definately be checking out your work again. You are welcome Misti. I aim to please and educate with all of my training. A good writing skills can be used for different means and this is one of the good ways to put it into action and earn some extra income or find an employer. Thank you. You are welcome and I agree! I use my writing skills which I have honed here working on my websites and I now make extra money writing website content for a couple of other WA members and have done so for people outside of WA too. Hi Robert - another great informative post. I will certainly be looking into this option. You are welcome Mark. I hope you find success in which ever writing opion you choose. Good to see you too again Sheila! Thank you for sopping by. Wow. This was really great to get going on other avenues. I tried doing freelance writing once, but since I only got paid 7cents a word I realized I was putting in more time than I was getting paid. I'd love to find something more lucrative that was a reflection of the amount of time I invested. Thanks! There are a ton of writing gigs that only pay per word so if you are looking for gigs that pay per article, you have to really look for them. Sometimes you have to settle for less in order to get more because if you do good some clients will raise their prices. Maybe I just need to find a different company. The one that I was with, all the clients refused to pay me saying they never hired me. But because I had a contract with them, and the company promised you would get paid, the company ended up paying me. I never got rankings with clients, though, because they all refused to pay for my work. It is always important to get the payment details hammered out before you start and if you had a contract then that is a good thing. Excellent training, thank you, Robert! You are welcome David. Happy you enjoyed it. Thank you for sharing with the community. This is one of the best lessons that I've learned here, and it makes perfect sense. Why not use what we are learning here outside of the WA community? There are millions of other people out there needing content, SEO, and keyword research. If we put our new found skills to use I think that we will have a whole new world open up to us and we, too, can be profitable. You are welcome Charlie! That is the exact attitude and approach to have about using the knowledge which we gain here at WA. Once you can master it for yourself, then logic says that you should be able to do this for others that do not have the knowledge, and make money in the process. You are providing invaluable information; I am lost for words when it comes to your ethics, walking the talk, standing firm on what is right and what is not, and generosity with information, as well as helping to keep people on track and not give up. I may not seem to be doing much, but trying to do it around my job which eats into my WA time, as well as enjoying a large family, but behind the scenes I am trying to slowly build something which I can then share with all of the above entities in my life, and be a benefit to them too. That's my goal, anyway, and you are giving me confidence that it can be done, in good time. Nearly forgot to say thank you for all you do. You are welcome Katharina and thank you for your kind words. Building a new online business and making money online takes time, patience, and dedication. Everyone's approach will be different because we each have varying amounts of time to devote to it. You just have to keep at it when you can and never give up. Eventually you will start to see results. Thank you Yew. Always concentrate on your website content first. if a gig asks how much we expect to be paid for a post between 800-1000 words, with pictures, keyword research and SEO...what should I tell them? Moritz, it depends on who is asking. If it is a company that has employees I normally ask for more and if it is a person I ask for less. To do everything you listed my price range, depending on who is asking would be between 5 cents to 10 cents per word. This comes out to be either $40-$50 or $80-$100. These are my prices but you need to come up with a better feel based on what you know that you can provide. NOTE: I prefer telling people a cost per word and not per project. This way I do not get cheated. Thanks. That gave me a good idea of what are "normal" prices. There are some people that charge less too at 2-4 cents per word. I personally cannot see mysel going that low for everything that you listed that the client wants. Did anyone tell you today that you are awesome, Robert? If not, then let me be the first. It is always great to read one of your blogs, because it sets those thinking wheels in motion. Thanks for all of your excellent advice. Thank you Shawn. Happy Writing! Hi Robert - Thanks for the information. I will follow a the tips and feedback the results to you. Thank you and you are welcome. I hope it gave you some ideas on how to make some extra money online. Great Training! Super Post! I like the way you think, as I feel the same =) Well I just started here and my journey, so still a long way to go. Hope to see a good progress from this point on. Thanks for writing this. Thank you Karthik! I am happy you liked my post. It is important to think outside the box and find other ways to make money with the knowledge we gain here at WA because it can take months and maybe even years before our websites can make us a lot of money. Thanks for writing this. I have shared this on Pinterest. You are welcome Marcus. I hope it helps you with other possible avenues of income. Thank you for the share. You are very welcome Brandon. I hope your entrepreneurial spirit was inspired and you will benefit. Not a very good site that link I tried "travel" the world and no writer jobs available. Which link did you try? Plus the link I provided is much better Monday to Friday because they totally change their links every day. Thank you Boomer ... your openness and willingness to share provide such a real example of the high quality, professional nature of the WA community. I have always felt my writing skills were pretty good and was one of the factors that influenced my coming on-board. It's encouraging to know that our WA education will support entrepreneurial possibilities if we are resourceful enough to pursue them. Thanks for the exposure. Not sure you know why a call you Boomer. I'm a long time sports nut and one of my favorite sports personalities was Boomer Esiason an NFL Quarterback in the late 80s for the Bengals. I loved his quick, left handed release. When I first saw your WA name ... it was automatic. You are welcome! Always happy to share with the community the things I know that actually work and can make all of us some money. Every little bit helps and the more you have, the more money it can add up to. Yes I remember Boomer Esiason. I remember when he played briefly for one of the local NY football teams, the Jets, near the end of his career. You are most welcome Jewel. I am happy you love my training and I hope it helps others to be able to make some extra money as they wait or their websites to become more profitable. Thanks for the tips Robert. I have your list of tutorials now, and will begin visiting those I've missed as time permits. Good stuff! Good training. I think they should send this to everyone starting out so they can get a grasp on how to successfully write for their own sites. Save a lot of mistakes and struggles for many of the newbies! How do you keep your writing organize, do you use an outline. My writing of what? My website content, training, blogs? Writing in general, how do you keep the harmonious flow of your content. Paragraph by Paragraph? That's all your writing style. Simple. That is how I hold a conversation. Writing content is no different then talking to someone. I just write the way I talk to people. Thanks, that is what I remember what you said before. I will that that. This is a great post and piece of informaiton, especially for myself who has been a blogger and I 100% agree that we must diversify along with our WA work and website creation! Great article! If you can give me a link to where I can understand how to increase by website rankings and daily views, I would appreciate it! I have 4 different training tutorials on how to increase website rankings. Just go to the link for my training that I provided at the bottom of page 5 of this training tutorial. You can access those 4 tutorials there. You are exactly correct Janine! WA offers ALL of us SO MUCH MORE than just an opportunity to start and build our own online business through our websites. WA also offers us the knowledge and we can then take this knowledge and do for others what we do for ourselves. No need to buy anything because as you said, everything is right here at our fingertips at WA. This is another of your excellent training sessions introducing a lot of new ideas. If you have written and published on Street Articles then there is another source of proven material. Yes, SA is another source of published content and I have used one of my SA posts as a writing sample before. Anything one writes online within a forum, community, and of course their website, are all great "published" writing samples. Thank you John! I hope it helps in your money making efforts. Thank you Don and you are welcome for the link. Our WA blogs and our website content are both excellent sources of published content. I have often said that a well written website is like your online resume. As always excellent made Robert. Every time I read something you've written. I really feel how much work lies ahead. You cannot achieve success without doing more work, this is why becoming financially wealthy online takes time, dedication, and patience. The trick is not to expect wealth to happen in the short term. The trick is to start and keep going no matter how long it takes. My plan here is to be here for many years to come. Although I prioritize my time there will always be new great ideas forward as I would like to sample. I agree. I have been here for about a month more than you and I am still finding new things to work with. WA offers way more than most people realize. Yes, and most of the things we learn here both from the courses but also from other members are things you can not just learn the importance of in a day. The list of the things that I want to achieve and work is soon very long. So what I have actually done is to save all the training and started over with Boot Camp for that is what my website is built around. I can grasp and excel to. But unfortunately get the rest I still feel that I'm missing so much work, to put it bluntly, too much information that I do not get worked up. Yes you are correct. Much of the stuff I am doing now, I had wanted to start it when I first learned it months ago, but I wasn't ready. And the things I did start and I am seeing success with now, those are the things I write the training and blogs about. There is so much to learn and do here at WA that no one can know it all. Even Kyle admits there are training tutorials and other posts made by members as part of the OEP that he hasn't viewed yet. Thank you Robert for another great blog. You are welcome. Yes! I saw that picture on Pinterest and pinned it to one of my Pin Boards. It is a great caption for entrepreneurs. I never write one-liner eBay descriptions that don't offer any real value. When I became an eBay seller I remember in one of their tutorials they said that by providing a little bit of a story with your description, would help you to gain sales. So I have been doing that since the beginning, am an eBay PowerSeller, and have 4,900+ positive feedback. Like with website content, the more you do it the better you will get at it. Hi this is an interesting point, here's a quote I received today from nichehacks.com...'Instead of lots of sites not really doing anything why not have 1 site that's fully running and making money? More sites doesn't necessarily equal more money'. It's worthy of a debate anyway. I think you're right by the way and I guess (maybe) the point that the quote was getting at was that before diversifying you should have 1 website making you good money. What do you think? One website is all you need to make money online. But when I say diversify I am not talking about building more websites. I am talking about diversifying your skills by working freelance projects for "other" people's websites. Being you have the knowledge in what it takes to build a website, use that knowledge and offer it to others who need it and are willing to pay for it. That is what I mean by diversifying your knowledge skills. As Kyle and Carson advocate...One website is all you need. But once that website is at the point that it is bringing in money, you can either be content with just that website or start another. I know I want to start another but I am not ready to do that just yet. I am seeing success with the one I have and I want to make it even more successful. I'm following the Jeff Bezos guideline and currently I am ahead of him. It took him 24 months (2 years) of working everyday to make enough money for his website Amazon to make enough money just to break even. I reached the break even mark in 16 months. It took Jeff another 5 years before Amazon became 100% profitable. I'm confident I will reach that within another year. I feel like I am finally starting to find my way, and understand the reality and pure gold of what is being offered here, thanks to your clear and wonderfully helpful training. Thank you Katharina. I hope this knowledge helps you to step outside the box and find other ways to help supplement your income. You are welcome. I hope it helps you in making some money outside of WA. I like the way you look at success and the way you set your goals. I too set my goals low so that I won't set myself up for failure. I haven't even figured out when I'd like to make my first dollar. I content to wait until it happens. I'm just making pages and trying to make blogs, I work most days, sometimes until midnight. I take the weekends off, sometimes, because all work and no play drive my inner children insane. And because I want to spend time with my husband and dogs. But I work pretty hard. Slow, but hard. I try to enjoy the journey, even when I want to pull my hair out, which I do from time to time. My immediate goal is to finish the bootcamp training before the end of the year, That is what I'd like to do. I don't know if I'll make it or not, but that is what I'd like to do. There. I've set my first goal. I never have seen the benefit in setting so high a goal. I believe a person gains motivation through accomplishments and how can you gain accomplishments if your goals are set too high? You just go at your own speed. Rushing things is not going to be beneficial. Think of it like the tortoise and the hare. Slow and steady is a good approach if that is all you can muster. Everyone has their comfortable speed. All the best on your Boot Camp endeavors. Thanks, muchly. I appreciate the words of wisdom. Thank you for this informative and helpful tutorial. I learned so much. I'm going to put this into practice. You are welcome Emile. There is so much we can all do to make money with the training we get at WA other than our websites. We just need to apply what we have learned. I have no idea how to sell on Ebay. I've always wanted to try but haven't a clue how to do it. Is there a tutorial somewhere? I will be creating a training tutorial about selling how to sell on eBay in a few weeks. I am gathering the information now and trying to see how I can simplify it so it is not too confusing. Hi Robert the tutorial was great. It will help me . I will look at your Training Tutorial. You are welcome and I hope my training will help you in many areas. Thanks so much for this training - so many possibilities, my brain is buzzing with ideas and excitement about what opportunities are available. You are welcome Francess. I am happy that my training has made your head buzz with ideas for opportunities. Thanks Robert, always looking for that little extra work to do. Been on E-bay since 2013. Pays for my WA and itself, plus a little extra. Do have to be careful with the drop shippers. I will look at the writing jobs as my summer will have a little more free time. You are welcome John. Prior to joining WA and before I went Yearly Premium, the money I was making from eBay was paying for my monthly SUV payment, which was more than the yearly price of WA. Then in October 2013 I made my last loan payment for my SUV. The following month I took my eBay earnings and paid for my yearly WA membership. eBay has been one of those great diversified avenues of income but it took time and hard work to get it there. Now through WA and the training gained here, I am branching out into other sources of income and I hope others will do the same. - Much luck to you in your writing endeavors. You are welcome Nigel. I am happy that it inspires you and I hope you are able to benefit from the knowledge and the link I have shared. Thanks, Robert. As always, great information. You are welcome Jean. Thanks for stopping by! Thank you so much. Last night I went to bed with so many questions on my mind, and now first thing this morning I am reading your article and thinking "light bulb". Thank you so much. The Universe really does send us the answers we seek. As before, I thank you for sharing your experience and knowledge with us Robert. You are welcome Theuns. I hope it inspires others to seek out new ways to make money with the knowledge we all learn here at WA. You are welcome Brian and yes, there is no need to use your affiliate link if you are the author of the WA content you are sharing. All the best in your writing endeavors. Magic! I am inspired again - thanks so much for a terrific post Robert. You are welcome Lorna. I hope it inspires many to make some money. Brilliant post Robert! Bet it'll helps many WAers top up their tank easily and have fun doing it. I've been offered an interview for a writing (kind of, a bit more) job for a Fortune 100 company in Silicon Valley 3 days ago, right after putting up my profile on one of the freelance sites, and my profile is incomplete, even now. And it looks like i have 90%+ chance to get the job! What I'm saying is, diversifying and thinking outside the box do work. Just by putting myself out there, opportunity found me and knocked at my door! Get out, do something, my friends. You'll be amazed what's out there. That's awesome Angela! And that is the underlying point to this training. Take the knowledge you have gained here at WA in the creation of your website, put yourself and that knowledge out there, and make connections/get jobs. Many blessings to you in getting that job. Thank you Robert. I might have been in the job if you wrote this training earlier:)... Just kidding. Again, thanks for the terrific training. Thanks my Aussie sounding friend (a boomer is a male kangaroo!). You are welcome Helen. I never knew that is what a male kangaroo was called. Seems like an odd name for an animal like that. I always have since my mum was born in Sydney. I am not sure why and so far can't find out. The big red males do leave a thumping sound on hard packed ground and they also make a deep coughing sound when arguing. But who knows. And some of these reds are very big! I have always wanted to visit Australia to experience the animal life there. We don't have kangaroos in the wild here, only in certain zoos. I you ever do drop a pm and come and visit. Hi Robert, this is really cool and very practical and anyone should be able to do this and make extra income online. 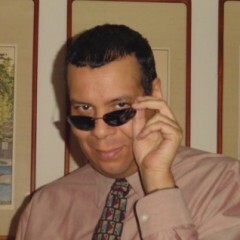 Freelancewriting.com also posts tons of writing opps as well, including poetry and magazine articles. Just in case anyone is interested. Yes, Freelancewriting is my second favorite website. However there are several links on that site that should be avoided because they offer very low wage opportunities that aren't worth spending time with. thank you, totally agree that the income has to come from various sources and building your first website is just the foundations. Writing doesn't come easy to me, but for someone with a great style, what a great source of additional income. Writing is no more than what you are doing here. There is only one difference between communicating with someone by talking with them or writing content. When you write content you type out what you would normally speak. That is the only difference.